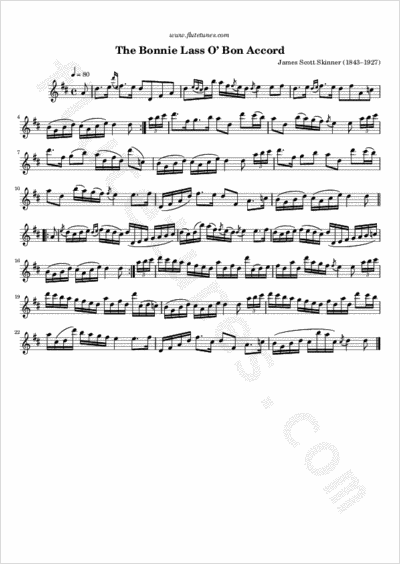 This is one of the most famous tunes composed by Scots fiddler James Scott Skinner. It was composed in 1884, and it is still popular today. “Bon Accord” is an affectionate name for the city of Aberdeen, Scotland, and appears on the city's coat-of-arms. The “Bonnie Lass” lass of the title was a young girl named Wilhelmina Bell, whose father used to play bass fiddle for Skinner's father.